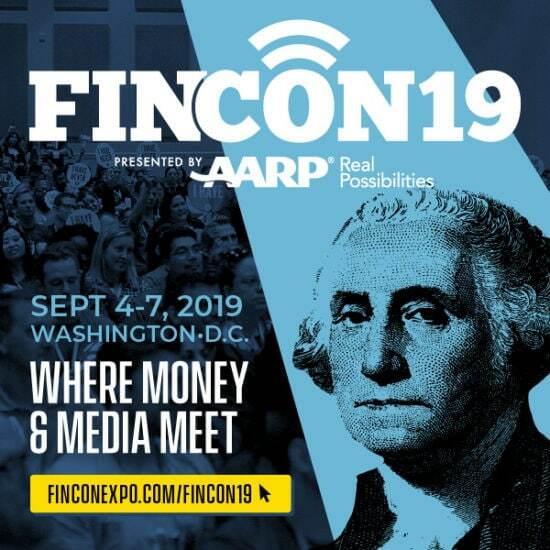 FinCon will continue to offer the best opportunities for personal finance influencers and brands to come together to connect around ideas that can help them create better content, reach their audience, and make more money. As usual, we will feature keynote talks from industry leaders, plenty of breakout sessions on money and marketing for your peers, an award show (The 10th Annual Plutus Awards), plenty of parties and meet ups, Pro Networking meetings with brands, a value-added expo hall (FinCon Central), our one-on-one mentoring program, a community service project, and yes, our live video and podcasting booths. 1. New Education Tracks: Journalism, Brand, and More! This year we’re introducing a new Journalism Track to tackle financial journalism issues, a new Brand Track to discuss ideas of interest to financial brands and the influencers who work with them, a new track specifically for Blogging as well as one for Freelancing, and several new Micro Tracks around money topics (budgeting, debt, investing, entrepreneurship, credit, and retirement). These new tracks will join the existing tracks: Advisor Track, Podcasting Track, Video Track, and Discussion Panels. We will be replacing the General Track, Success Stories Track, and Money Conversations Track. We’re expanding FinCon Central (our Expo Hall) from two days to three. FinCon Central will now open up the first day of the event (Wednesday) and will be open for 4-5 hours on Thursday and Friday also. FinCon Central will still offer the absolute best group of financial advertisers and Internet solution providers around today. The space will also feature our super popular free headshot booth, podcasting and video booths, attendee lounge, food, drink, games, and much much more. It will remain the place to be throughout the event. If you’re considering the Pro Pass, this year it will be more valuable than ever. We’re including a complimentary Networking Lunch. At the end of this year’s Thursday Pro Networking event, you will have the opportunity to sit with brand reps along with a few other influencers and enjoy a nice meal onsite at the Washington Hilton. This will be an exclusive event only for Pro Pass holders and for brands that have sponsored the event. 4. New Location: Washington D.C.
We move FinCon to a new location each year and this year is no exception. We’ll be in Washington, D.C., our nation’s capital. Our host hotel (secured at a great low rate) is one of the best yet–the historic Washington Hilton in the heart of the Adam’s Morgan district. There are plenty of great sights and sounds to take in just block away from the hotel, and, of course, the capital itself offers plenty to see and do for the frugal minded. Look for a Visitors Guide from us as we get closer to the event. We’re still in the process of putting together our main stage speakers for 2019 but you can be sure they will be new names and ideas to take the stage. FinCon knows how important it is to move our industry forward with fresh ideas and perspectives and we’re committed to keeping our main stage new each year. Whether it’s your first or ninth time to attend FinCon, it’s important to understand all of the opportunities involved with the event so you can plan your strategy for attending. In the coming weeks and month, we’ll be sharing more–tips for first-timers, how to make money from the event, how to connect with other attendees, and more. Stay tuned.